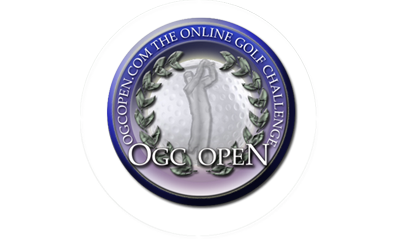 Welcome to OGC Open, The Online Golf Challenge! Once you have registered, you can click on the play now menu item. You will find yourself at the character setup. Here you may setup your character as you like. 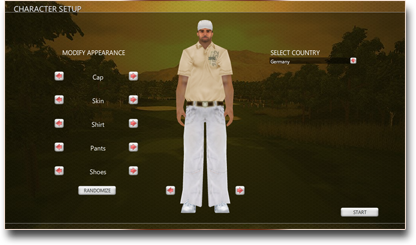 Try several clothes and create your own individual 3d golf character. 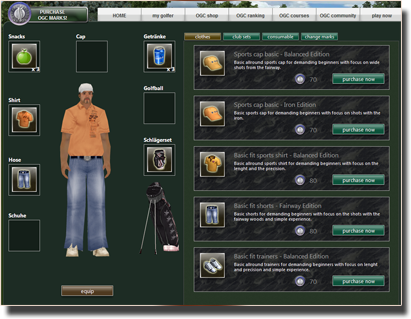 Later on, you can equip your golfer with a large assortment of clothing. 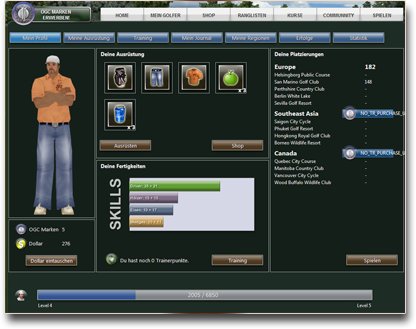 After you create your character, you automatically end up in the Golf Course selection. 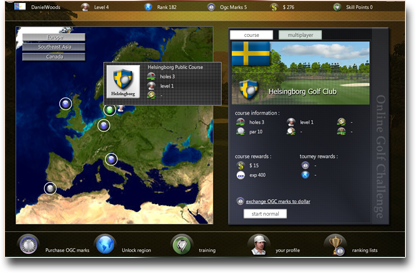 You start your golf career in Europe on the beautiful golf course in Helsingborg, which is located in Sweden. 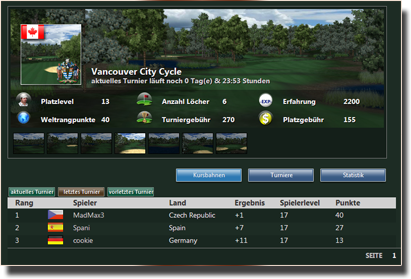 In the right pane, click on start to begin your first round at the virtual golf course. You can now decide whether you prefer to play alone or together with a partner. Once you are on the golf course, a small tutorial will familiarize you with the control of the game. As you may have experienced it yourself, your character rises gradually to its level. You will become a level up, if you have accumulated enough experience points. Good moves gives you more experience than something worse. You can monitor the number of experience points at every stroke. 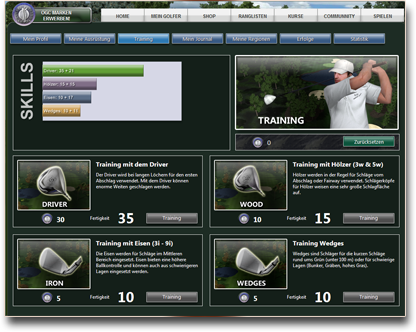 If your character has reached a new level, you receives training points which you can use to improve your golf skills. How to improve your skills and what are Training Points? If your golfer has reached a new level, you automatically receive two training points. With that points you can go for a special training in the training section. There you can improve your skills e.g. your driver abilities. Every training session costs one point and increases your skills by five. Upgrading your skills is also charged with OGC Marks. You can receive OGC Marks by playing tournaments or you can purchase them at the online store. You also get OGC Marks on Level Ups. On a level up, new fields of golf courses will be unlocked to your character. For a new course available, you will get a notification in-game and via the in-game journal. Except the very first course all courses are tournament courses. You will need to finish up with a certain score to unlock the tournament mode for each course. On all regular courses golf tournaments are conducted. Tournaments run daily, weekly or at a certain interval, e.g. every 3 days. Within this period, a player can complete as many games as he wants. Only the best score counts for the final result. 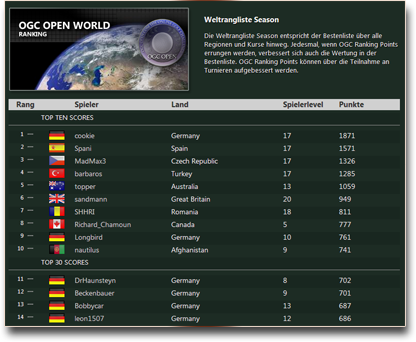 At the end of the tournament the player will receive world ranking points and OGC Marks according to its tourney placement. The amount of world ranking points and OGC Marks depends on the particular golf course and the tournament interval. OGC Open world ranking list! The world ranking list includes golfers who have ever played a tournament and have gained world ranking points. You will receive ranking points also to a single region and even for a single course. So it is possible for instance to be the best golfer in the region of Canada. You can watch the world rankings and other rankings at the web site. The world ranking is for one season. The best players in one season can be admired in our archives. 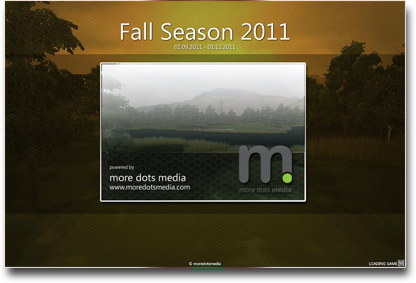 The golf year is divided into several seasons. Currently a season runs 3 months. At the end of a season the best player in the world rankings and the individual regionalists will be chosen. The winners will be stored in our archive season and thus get an eternal place in the Hall of Fame. With the start of a season, all the rankings resets and it starts all over again. Thus, new players have the chance right from the outset to be there. please note, you will not lose any equipment or regions on season change. For each game and each completed course you will get dollars. Dollars are needed to pay the green fee and the tournament entry fee. 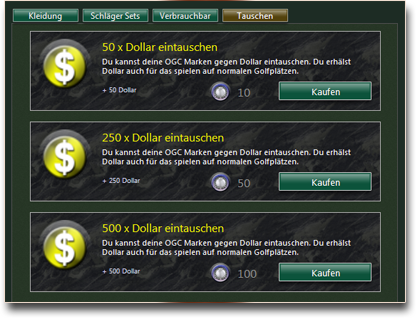 You can also convert OGC Marks into dollars in our shop. For participation in tournaments OGC Marks are credited. The better they play and the more tournaments you participate the more you can get OGC Marks. Tournaments will be conducted at any place and in every region. If you prefer, you can purchase OGC Marks at our shop. You can equip your golfers with a variety of equipment in our golf shop. We have a wide selection of clubs sets, clothing, drinks and golf balls available. When using additional equipment you will improve your playing skills dramatically. The improvement works naturally in addition to your skills acquired through training. 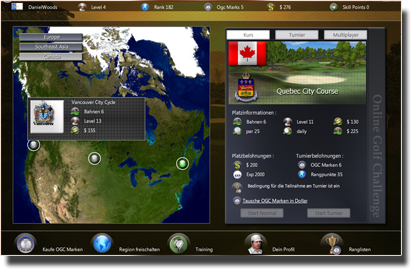 If you are on the globe in the course selection, you will see the regions of OGC Open on the top left. Just click on the appropriate region and the globe starts to spin. You can unlock new regions for OGC Marks.